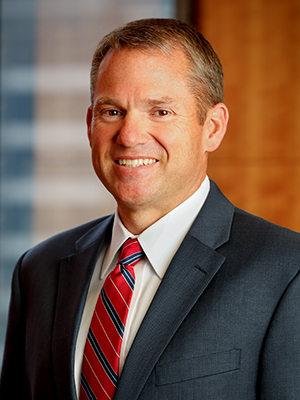 Richard H. Madsen II is a shareholder in the law firm of Ray Quinney & Nebeker in Salt Lake City, and a member of the Firm’s business, corporate, banking and financial institutions, and real property sections. Mr. Madsen maintains a general business law practice as he facilitates transactions associated with the Firm’s clients. Mr. Madsen focuses his practice on commercial transactions and litigation, contract review and drafting, and corporate organizational matters, including business formation and planning. He represents commercial, consumer and real estate lenders in loan documentation, loan workout, foreclosure, equipment financing, and litigation to enforce creditors’ rights. Mr. Madsen has experience with business financing, including equipment finance transactions, asset purchases and sales, and all aspects of real property transactions, including the purchase and sale, financing, leasing, and development of real property. Mr. Madsen also has a financial background as a former institutional investment officer with a major financial banking institution. He assists his clients with name availability searches, trademark and service mark registrations, renewals and administrative proceedings before the United States Patent and Trademark Office and state agencies. He also speaks fluent French. Mr. Madsen has been included on the list of The Best Lawyers in America in Banking and Finance Law and in Corporate Law. He maintains an AV Preeminent (4.5) rating with Martindale-Hubbell, which is the highest rating awarded to attorneys for professional competence and ethics and has been rated by his peers throughout the state as one of Utah’s “Legal Elite,” as published in Utah Business Magazine (2008, 2010-2011).